TONIGHT! 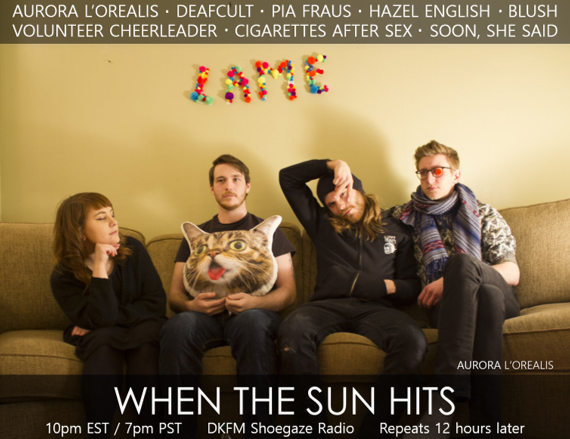 When The Sun Hits on DKFM. Stream live @ 10pm EST. 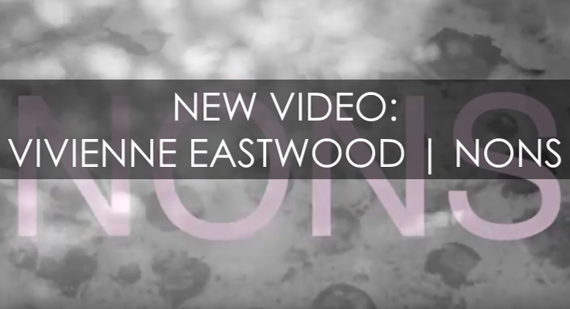 NEW VIDEO: Vivienne Eastwood | Nons. Brooklyn-based project Vivienne Eastwood has released a new video for their song “Nons”, which is taken from the band’s brilliant 2016 EP, Shook. Check out our recent(ish) interview with Vivienne Eastwood here. 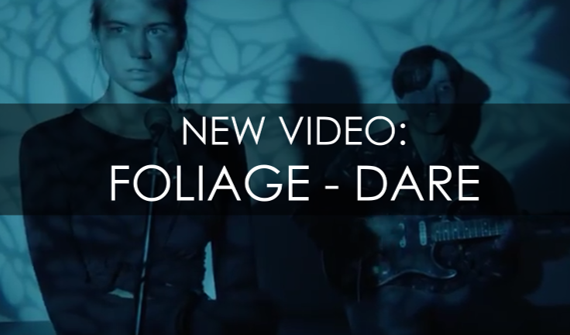 NEW VIDEO: Foliage | Dare. “Dare” is the first single from the forthcoming Foliage record, Silence, to be released on July 20 via Spirit Goth. The 2015 debut LP, Truths, was utterly fantastic and judging by the strength of this new single, Silence will continue the trend of awesomeness. You can pre-order Silence here. TONIGHT! 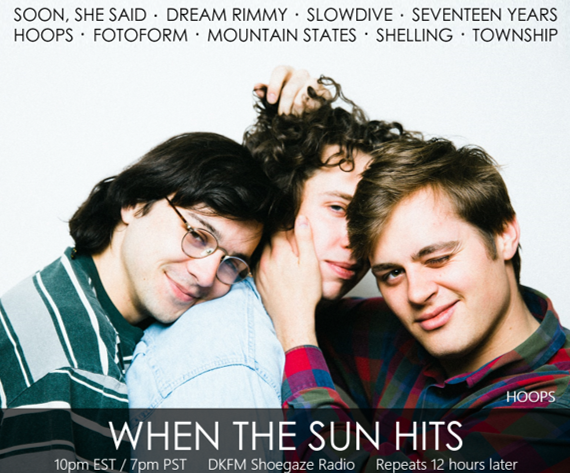 When The Sun Hits on DKFM. Stream it live @ 10pm EST/9pm CST. Repeats 12 hours later! 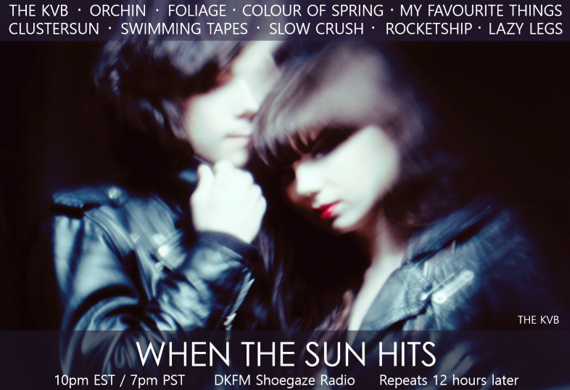 And don't forget to stay tuned to DKFM to catch the Somewherecold Radio Hour at 12am EST / 11pm CST! Tonight the spotlight will be on Australian and New Zealand bands! Trementina is a Chilean project consisting of Vanessa Cea (vocals), Cristobal Ortiz (guitar), Lucas Martinic (bass), and Andrés Yáñez (drums). We’ve loved Trementina’s delightfully noisy sound for years, but with the release of their newest LP, 810, they’ve eternally captured our hearts. 810 is a nimble foray into a more pop-oriented sound and the band’s fearless exploration paid off – this record is gorgeous and flawlessly executed. Each song sparkles with a radiance that feels new and different. 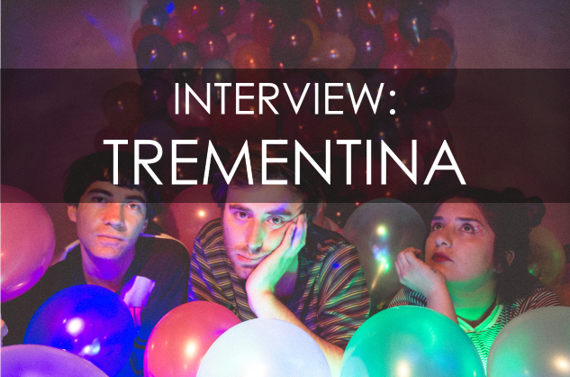 We believe Trementina have found their true voice on 810. We couldn’t be prouder to share the following interview with Vanessa and Lucas of Trementina. Vanessa: It was formed four years ago in Valdivia, Chile. We were really close friends, so one day the idea just came up to play the kind of music that we’ll never see in a live show in our lives. Valdivia is twelve hours to the south of Santiago, the only one big city in Chile. It’s difficult to get there for a concert, it’s expensive, it takes too much time, and in 2013 shoegaze was a non-existent genre in Chile. Vanessa: Well, we’ve just arrived back home from a tour in Mexico. We were supposed to have a tour in the States this year, but immigration decided that it was better if we stood on the other side of the border. It was wise advice, since we haven’t paid enough attention to Mexico. We’ve just released our new album, 810, so this year is based on promotion and touring. There’s going to be a couple of tours this year, maybe in Europe and Japan. As soon as we confirm the dates we are going to announce it on our Facebook page. Vanessa: When we started, we felt really proud to be named as a shoegaze band, because that was what we were trying to do, bringing something “new” to our people. It’s kind of what you have to do as an artist – amplify people’s minds by showing them that there’s a whole new world to see. But now we want to have enough space to find ourselves in our work. We don’t want to be a slave of something that doesn’t belong to us. There are people who are surprised with our new record because it’s not “shoegaze” enough, or in the ways that they expect it to be. But that’s exactly what this is all about! If you want 30 years more of the same, you can just lock yourself in a room with your favorite records on repeat. "It's kind of what you have to do as an artist—amplify people's minds by showing them that there's a whole new world to see." I’m not against “genres.” I think that classifying music by genre is something very positive for the industry, because it helps you to reach ideal audiences. It also helps the audience find and listen to what they like, especially in this internet/over consume society. The problem is getting stuck on labels as a musician, limiting your creativity just because people think something about you and you have to give in to that. TONIGHT! 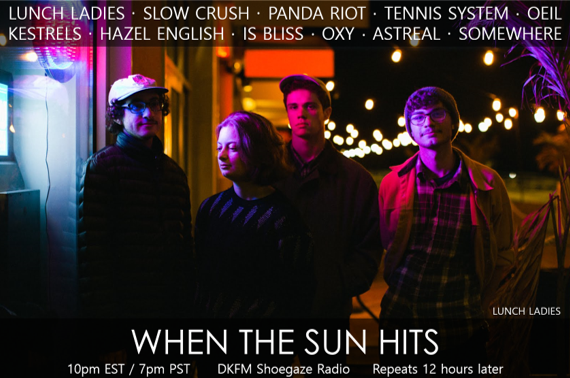 WTSH airs on DKFM. Stream it live @ 10pm EST. Stay tuned in because at 12am EST/11pm CST the Somewherecold Radio Hour is taking over the air waves with TWO world premieres and a spotlight on the Chicago scene! 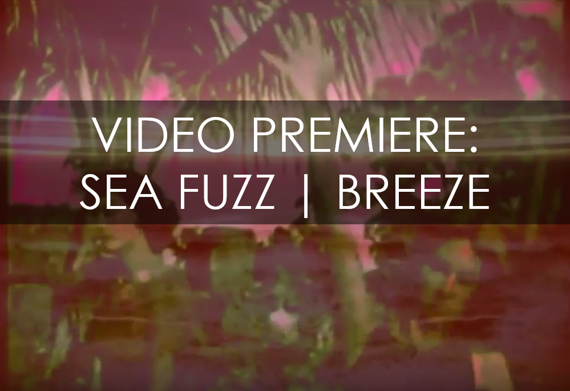 EXCLUSIVE VIDEO PREMIERE: Sea Fuzz | Breeze. Portland-based Sea Fuzz is the solo project of Ben Heckler. In March, a resplendent LP entitled Sky Gazing was released via Spirit Goth and features eight shamanic beach punk tunes – highly recommended listening for our lo-fi psych fans as we transition into the summer months. “Breeze” is taken from this LP, and the video below is the last in a series of trippy and colorful visual pieces that Heckler put together for the new album. TONIGHT! WTSH on DKFM. Stream live @ 10pm EST. 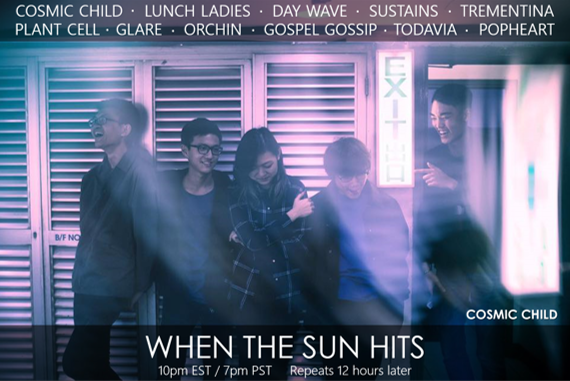 Catch Muso Asia tonight following WTSH! 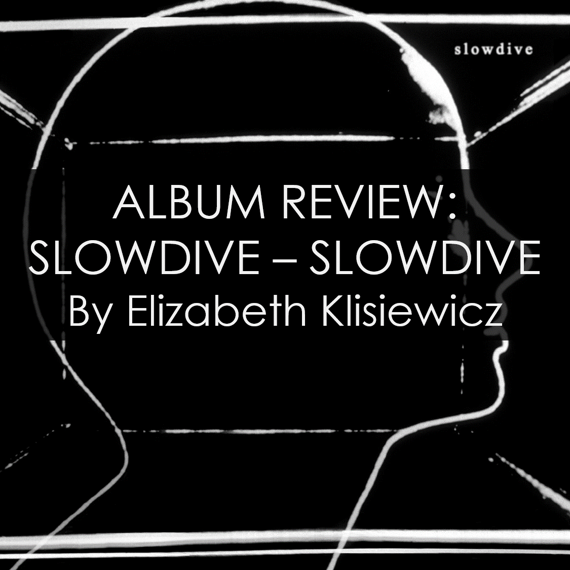 ALBUM REVIEW: Slowdive | Slowdive. As I am writing this for a blog named after one of Slowdive’s classic songs, this should be a rave review. And it is, to a point, though I should caution that no album is perfect, even a really great one from a venerated band that hasn’t released a record in 22 years. And that is a minor miracle, so settle in and appreciate it for what it is: a wonderful and lovely piece of work. I say brava to the members of Slowdive, and extend my appreciation for the craft that went into this, their self-titled fourth studio album. The band is touring right now in support of this album, so get out there and see them if you can. You never know how long this might last, and the chance to see a classic band is one that surely resides on every dream pop and shoegaze lover’s bucket list. I will not bore you with constant comparisons to their previous work, because what is the point really? Bands need to reinvent themselves, not coast on past creations. And since I am a lesser Slowdive fan (meaning I am not a fanatic), perhaps I view things more objectively. So let’s get to the music, shall we? The album opens with “Slomo”, a small wonder of a tune, chock full of dreamy layers and acoustic guitar, all of it cocooning you in a gauzy haze. Shimmering and trippy, it’s a sublime example of psych pop. I love the gentle bass that carries it forward, and the way the vocals float by like a marvelous daydream. It meanders for close to seven minutes, and I daresay you will be totally blissed out by the song’s end. And may I say how much I love Rachel Goswell’s voice on here? “Star Roving” is the first single, and it’s a strong effort. It has a solid hook at its heart, and contains all the dreamy elements you could possibly desire. Listen to it loud with a good set of headphones and you will find your head bobbing as it unfolds. “Don’t Know Why” offers up vocals from sweet-voiced Rachel and is simply gorgeous. Neil Halstead also sings here, and they both make it special. “Sugar for the Pill” is the second single, and one of my favorite songs on the record. It has a pastoral feel, and is the perfect soundtrack for a picnic on a warm summer’s day. Dazzling and slow, it is the band at its best. “Everyone Knows” kicks up the energy and revels in a shoegaze lover’s paradise. 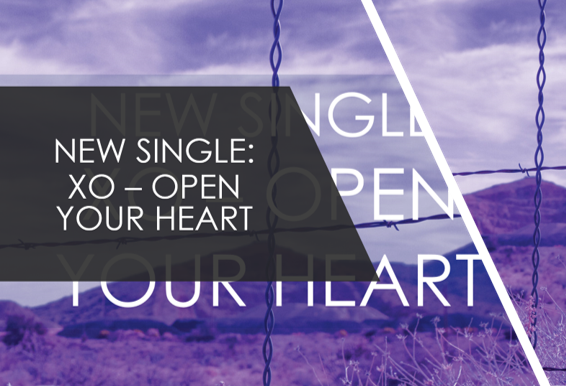 The vocals are marvelous and the layers of guitar spin you ‘round in silken splendor. “No Longer Making Time” is another beautiful song, and feels like another single to me. Great! “Go Get It” verges on space rock, and it sure sent me straight into orbit hearing its atmospheric sonics. It is another cool favorite of mine. “Falling Ashes” is a bit of a puzzle, and drastically different from the rest of the album. Cool piano washes over you with notes falling like rain on your soul. It shows the band experimenting with ambient music, and they do it well. Perhaps they should consider writing soundtracks, for this is what I am most reminded of. 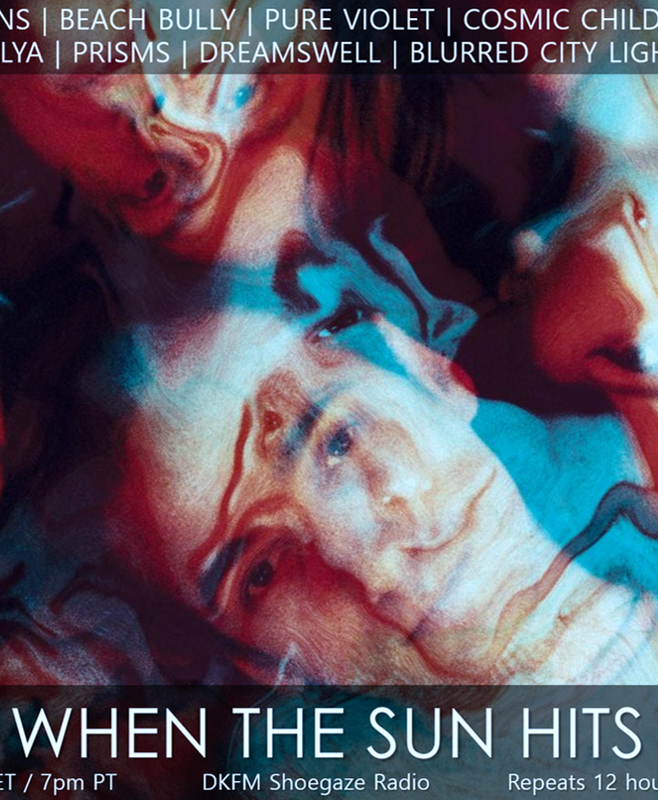 It’s a peaceful coda to a fine album from these dream pop pioneers. Highly recommended!